I started mc aughtry.com in 1999 and used the best software at that time – FrontPage from Microsoft. 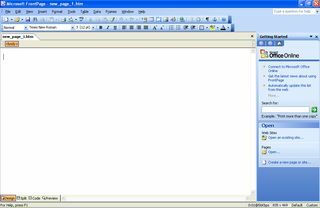 As web design software it was very powerful and allowed me to use neat features like frames, and inbuilt spreadsheet clips and so on. After I had built the basic design, it was relatively easy for me to add pages, and indeed photo albums and the like. It produced a site that for its day was quite professional-looking, and which was certainly pretty functional. 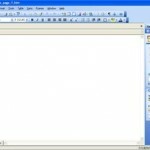 Unfortunately in 2006 MS discontinued FrontPage, and replaced it with a more sophisticated product called Expression Web. By that time the whole style of FrontPage had become passe in the web industry, and the server-side extensions were becoming hard to find. I was personally finding it more and more difficult to keep the site running, both because of the lack of support of FrontPage and also because the site itself was pretty big and complicated. What had happened to the web in the meantime? Back in the early days, web standards (for HTML and page design etc) were still nascent, and MS probably felt they had a good chance of owning the standards as they had done before with Windows. So they built a great, but non-standard product that did many things their own way. That was super for small developers like me, but it was neither open, nor operable across non MS browsers. As we know, MS lost the web standards battle, and open standards for the web prevailed. MS was forc ed to follow in 1996 with Expression Web. Unfortunately, the new open standards included really complex processes for page design (using Cascading Style Sheets, or CSS, as an example), which made life easier for managing big sites, but which made the front end part of developing a small web site very onerous. I migrated my site to Expression web in 2006-7, and converted all the pages to open standards. But to redesign the whole site to look like a modern one, required me to essentially become a fully fledged web designer. I didn’t have the time, or frankly the enthusiasm for that in 2007, and it didn’t seem sensible to keep adding content in the wrong structure. So I pretty much stopped working on it. And there it sat. In the intervening years I looked all over the place for solutions. In the end a new development in web technology seemed appropriate. This was the advent of server-side technology – specifically what are called Content Management Systems, or CMSs. In a subsequent post I’ll describe what this technology does, and why it’s better than the old way. Suffice to say in this post, that I spent quite a while figuring out which system would work best, and eventually chose WordPress (after approx 30 million other people had done so – somewhat denting my self-perception as a first mover). Problem was I had installed the original site on a host provider that didn’t support this kind of stuff. Moreover, I didn’t want to throw away the old site. Instead my goal was to keep it as a kind of frozen archive, and set up a new site which would provide a window into the old one, as well as being a new develoment point for web content. So I had to set up a new site on a new provider, migrate about 9000 old files from one to the other, develop the new CMS system, create the links to the old site content , and then switch the web pointers that tell your browser where to look for mcaughtry.com. That took me a year. I hope it all appears transparent to the very few people who look at this, but FYI, it was quite a lot of work, and that’s partly why it took so long (the rest of the delay is because I kept putting it off because it looked like such a lot of effort and would take time out of the fun stuff I have been doing since I retired).